Do you have a passion for craft beers and local brews? Then a Halloween Pub Crawl is the perfect way to celebrate Halloween this year! 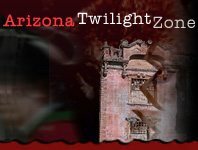 Across Arizona, lots of local bars, lounges, and restaurants will be participating in Halloween Themed Pub Crawls, where you'll be able to enjoy your favorite local beers, delicious cocktails, and of course some Halloween thrills & chills along the way! Although Pub Crawls are adult-only events, costumes are highly encouraged - grab your best Halloween garb and get out there for an afternoon filled with food, friends, festive fun, and of course beer!